Hi there, can you tell me the year and model of your Lexus? No, putting on 22" shouldn't cause these codes. The Toyota dealer told you about the codes? do you know the letter in front of the codes? Is it C1391 and C1241? And they told you to take it to the Lexus dealer? meaning they weren't willing to look at it? c1391 is caused by either a brake fluid leak or a fault in your ABS actuator. And c1241 is normally caused by a voltage problem, usually caused by a weak or dead battery. 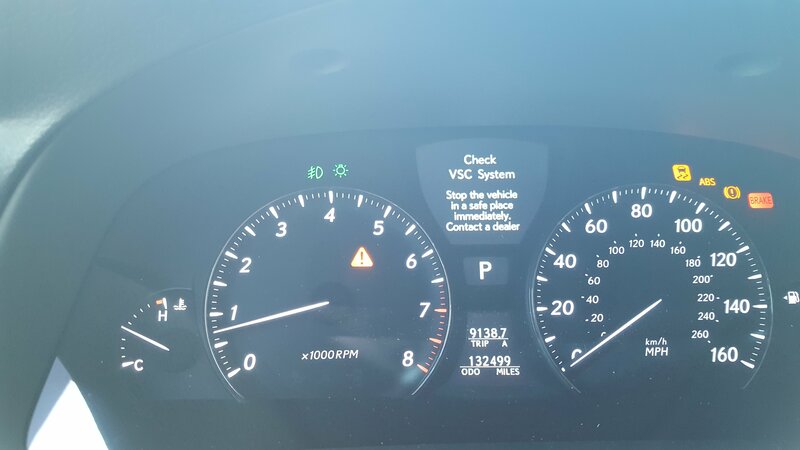 Ok, let me get the whole story, the ABS light just came on, you took it to Toyota for diagnosis, and they said it would be very expensive to fix? Did they say what the problem was? A new battery could be a good idea, as for the other code, you can try to have the dealer clear the code and see if it comes back or how long it takes to come back. I would check your brake fluid level, if it is ok, with no leaks, you should be ale to drive it, but I would want it properly diagnosed, to know exactly what part is at fault. This can go on for as long as you need. I am about to purchase a 1962 Cadillac Fleetwood Limosine. I asked what I could do to fit after market wheels with a 37mm ofset.